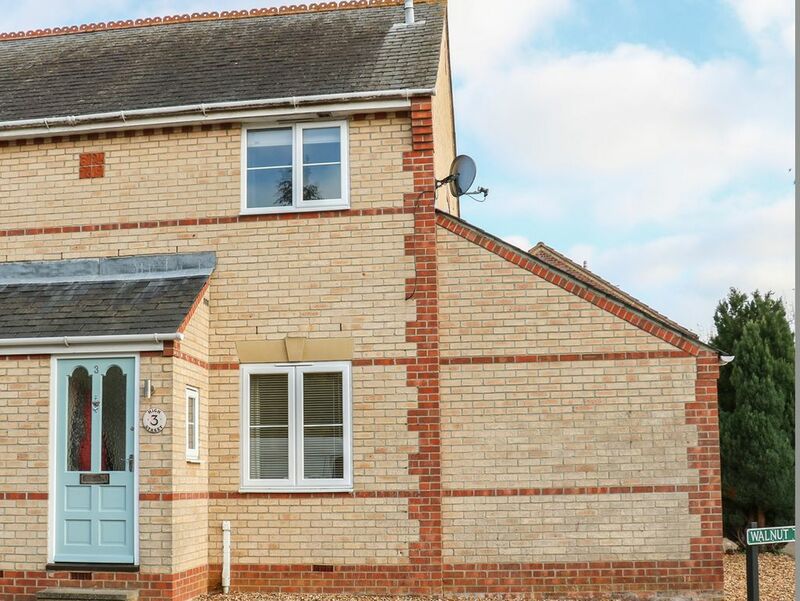 3 High Street is a superb cottage in the quiet village of Stretham, just north of Cambridge. It boasts two bedrooms; a double and a twin, sleeping four people in total. It also has a bathroom, kitchen with breakfast bar and a living room with a dining area. To the exterior is a lovely walled garden with a lawned area, patio and furniture, as well as off-road parking for two cars. 3 High Street enjoys a wonderful location, ideal for a much needed holiday with the family. Amenities: Electric heating. Oven, hob, microwave, fridge, freezer, dishwasher, washing machine. TV with freeview, DVD, WiFi. Fuel and power inc. in rent. Bed linen and towels inc. in rent. Off-road parking for 2 cars. Enclosed garden with lawned area and patio with furniture. One well-behaved dog welcome. Sorry, no smoking. Shop and pub 5 mins walk. Note: The garage is inaccessible to guests. Note: This property only accepts children 10 years of age and over. Note: The twin bedroom has one plug-in radiator. Town: This village boasts a few local amenities, including the Red Lion pub, as well as its main attraction; The Stretham Old Engine, a steam-powered engine used to pump water from the flood-affected Fenlands to the River Great Ouse. The cathedral city of Ely, with its unique Octagonal tower, is home to the only Stained Glass museum in England. The River Great Ouse offers boat trips, riverside strolls and opportunities for picnics. Wicken Fen provides wildlife watching and the Welney Wetlands Centre has plenty of family-friendly activities to enjoy. Electric heating. Oven, hob, microwave, fridge, freezer, dishwasher, washing machine. TV with freeview, DVD, WiFi. Fuel and power inc. in rent. Bed linen and towels inc. in rent. Off-road parking for 2 cars. Enclosed garden with lawned area and patio with furniture. One well-behaved dog welcome. Sorry, no smoking. Shop and pub 5 mins walk. Note: The garage is inaccessible to guests. Note: This property only accepts children 10 years of age and over. Note: The twin bedroom has one plug-in radiator.